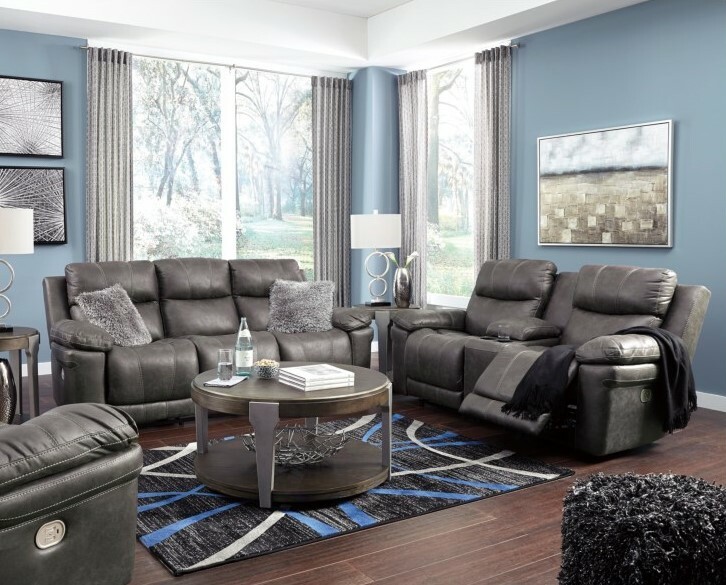 The Buckley reclining sofa and loveseat features power recliners with power adjustable headrests. Each power control has USB ports to connect devices and the loveseat has a storage console. The set is available in a midnight, gray faux leather fabric.